Android Auto manages to create a driving experience that’s both distraction-free and filled with entertainment. If you have a Droid and a newer car, this is something you absolutely can’t pass up. There are so many apps for Android Auto that it can be hard to decide which ones to choose from. We’ve put together a list of the top eight apps that you need to download before your next road trip. 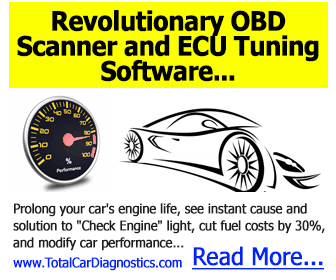 If you don’t have the system pre-installed in your car, no worries! The first app that you should download is — you guessed it — Android Auto. Then just pop your phone into a mount and you’re good to go. Ready? Read on for our list of the best apps to get for Android Auto. Listening to music is one of the best parts about driving, especially long road trips. The memory of rolling the windows down and blasting music is one that sticks with us for a long time. However, it can be annoying to constantly change radio stations as you drive in and out of range. Spotify is the largest music streaming platform in the world, and as long as you don’t mind ads, it’s completely free. Listen to whatever music you want with the Spotify app. If you want to download music on your phone or listen ad-free, you can sign up for a premium account for ten dollars a month. Google Maps is the best mapping app out there. No matter where you are in the world, Google Maps can probably get you from Point A to Point B. Its interface is simple and easy to use, and you can even use it to search for things like gas stations or restaurants along your route. Its one weakness is re-routing you around traffic, but even that might improve with its recent purchase of the next app on our list. Have you ever been stuck in standstill traffic and wondered if there was another way to get to where you’re going? Waze is the app for that. 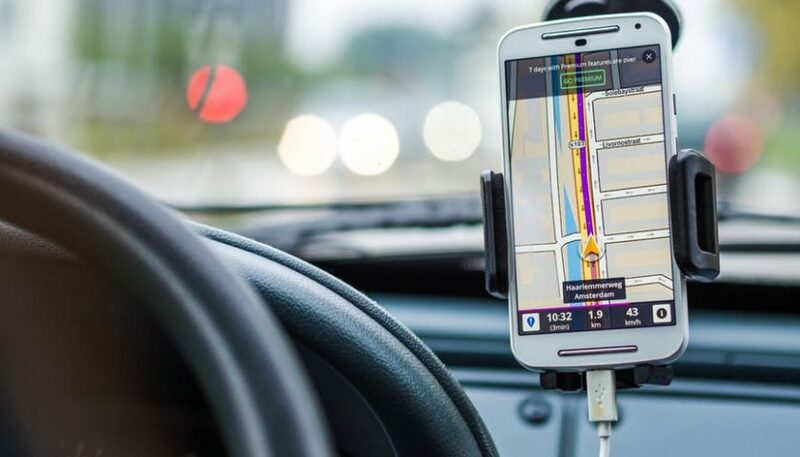 The app uses information from other drivers to let you know where traffic is slowing down or stopped, then suggests alternate routes so that you can avoid the traffic altogether. It’ll even warn you about red light cameras and speed traps so that you can avoid a ticket. Waze works best if you have another person in the car since it discourages drivers from distracted driving. It can also majorly run down your battery. But if you want to avoid traffic at all costs, this is the app for you. You might have friends who enjoy buying police scanners and listening to the airwave chatter to see what’s going on. There’s no need to drop money on a scanner — just download the free Scanner Radio app. This app collects data from thousands of police scanners, fire scanners, air traffic control communications, and more so that you always know what’s going on. It’ll even send you alerts when a lot of people are listening to a certain channel, which is usually a clue that something major is going on. This can give you the first heads up that there’s an accident ahead or something else that might obstruct the road. Sometimes things just don’t go your way and you’re the one in an accident on the side of the road. No one ever wants that to happen, but just in case, you should be prepared with the best accident app out there. The “Help, I Crashed My Car” app is designed specifically for Android users, so you know it will work well with your phone. Before you hit the road, update the app with your emergency contacts, vehicle information, and insurance information. When you need it, it tracks your location with GPS and can provide an accident report for you and the other parties to fill out. If you’ve already installed Facebook Messenger on your phone like millions of other people, you’ll probably want to use it with Android Auto. It easily integrates with your car’s interface to display your incoming messages and read them aloud so that you don’t have to take a look. You can also easily send an “I’m driving” message with one touch so that you can continue keeping your attention on the road. It’s a great way to stay in touch with friends and family even on long road trips, while still keeping your focus where it should be. You know what one of the biggest distractions is in a car? The radio. A surprising number of accidents are caused each year by people just trying to change the song. Get rid of the distraction and let Scout FM do the work for you. Once you start listening to a podcast or radio station that you like, the app will automatically find something similar for you once it ends. The longer you use it, the more it learns, so its recommendations just keep getting better. What if you want to have access to almost everything above, all in one app? Car Dashdroid basically makes your phone into an infotainment dock that’s specially designed for driving. Things like navigation, your contacts, music, messaging, and more are just one touch away. It even includes support for apps like WhatsApp and Messenger. Car Dashdroid will read your messages out loud for you and let you reply verbally, so you never have to touch your phone. It even has a Smart Dialer so that you can easily call people without having to type in their contact name. No matter what you want to have access to when you’re driving, these apps for Android Auto will help you out. You’re not going to want to take your next road trip without them! Before your next long drive, make sure you have your car in top shape by reading our auto service manuals. We offer manuals for thousands of different makes and models.